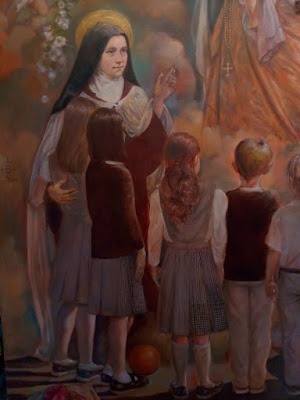 Belita's Art Blog: Painting for St Therese Carmelite Elementary School, Alhambra Ca. 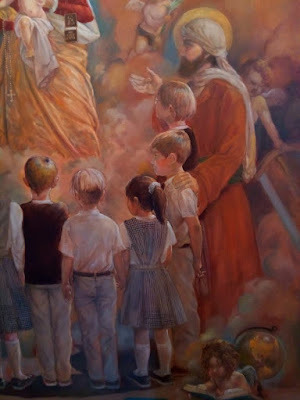 Painting for St Therese Carmelite Elementary School, Alhambra Ca. 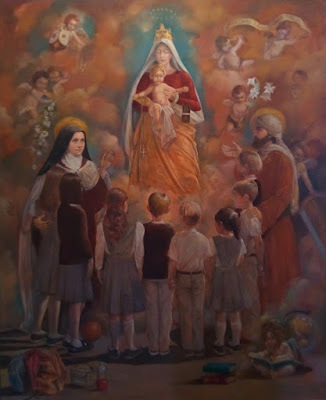 A large painting for the Catholic Carmelite Grade School of St Therese Alhambra, Ca. It depicts the young students with their Saints and Mentors, St Joseph and Saint Therese, who are the religious guides to a holy and productive life. Pointing to out main Inspirations, Jesus and his Mother the Virgin Mary. 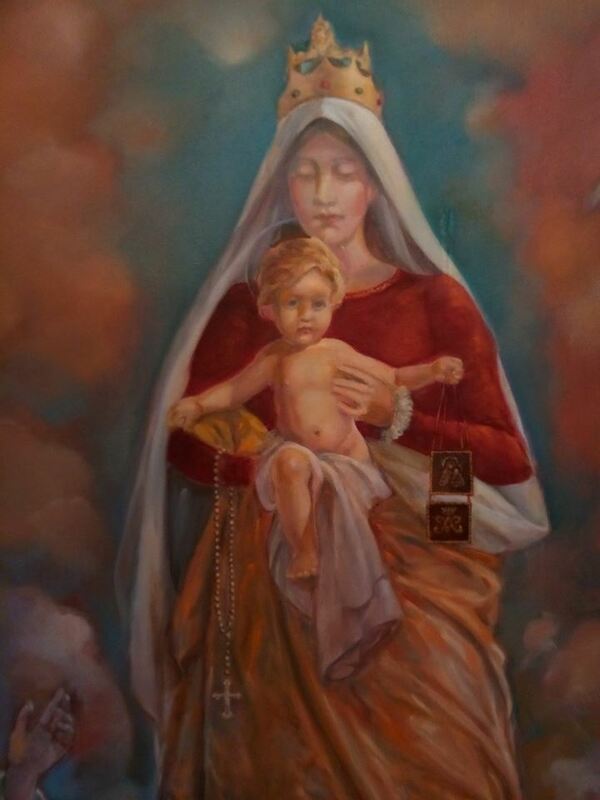 It is 48x60 in oils on canvas and will hang permanently in the work room of the school. Belita William. Travel theme. Powered by Blogger.